Wow! Donald and Melania Trumps Penthouse suite atop the Trump Tower in Manhattan, New York, USA, is super luxerious! 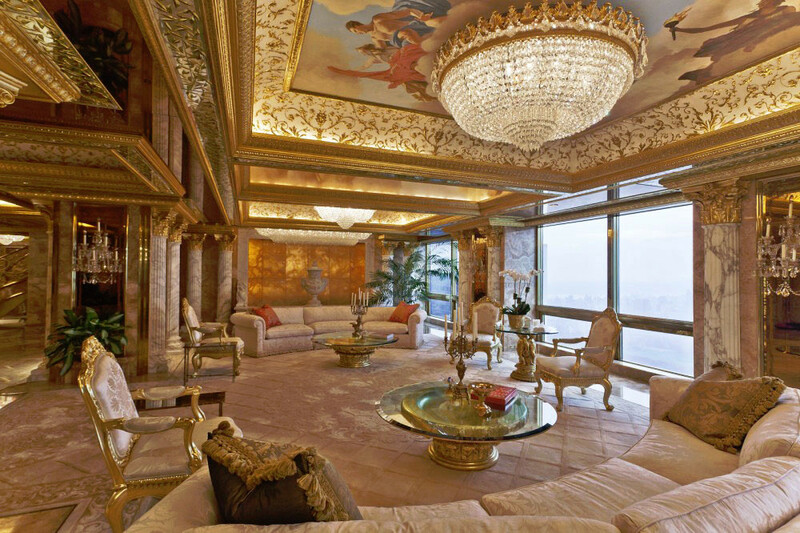 The entire appartment is decorated in gold and marble as if it was being designed for a king. Donald Trump, the billionaire real estate tycoon, and quite possibly might be the next president of the United States, didn't spare any penny or cut any corners when getting this mansion built in his Trump Tower. It is worth an estimated $100 million and is the ultimate statement of opulence. It also has amazing views of New York as it towers above almost every building. Would you want an "appartment" like this mansion in the sky?